www.1daytrack.com <- a new track every day! Every once in a while we are given the opportunity to 'premiere' a track on our Soundcloud and YouTube channel. We consider it a premiere if we are the first and/or only one who is given the right to upload the full version of a track. 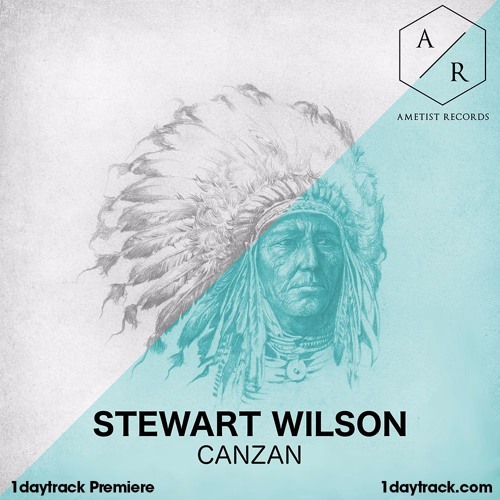 After hearing the snippet of Stewart Wilson's "Canzan" we were eager to premiere this track on our pages. The uplifting percussion and energising basslines in this track make us longue for summer already again! Tell us what you think! Buy track: Beatport http://btprt.dj/2gtVutw Traxsource http://bit.ly/2gsLyxL Juno Download http://bit.ly/2g1TCEE iTunes http://apple.co/2gaU8Dt --- Track released on Ametist Records: https://www.facebook.com/Ametist.Records/ https://soundcloud.com/ametistrecords --- www.1daytrack.com @1daytrack www.facebook.com/1daytrack www.youtube.com/1daytrackmusic www.instagram.com/1daytrack/ www.mixcloud.com/1daytrack/ --- Disclaimer All music posted on 1daytrack.com is for promotional purposes only. If you like the music, please support the artists by buying their music through Beatport, Juno, Whatpeopleplay, iTunes, Google Play, Amazon etc. Contact us in case of copyright issues. --- Do you like our activities? Help us to continue! Donate! PayPal: https://www.paypal.com/cgi-bin/webscr?cmd=_s-xclick&hosted_button_id=T5QJWYUSGNVZS Bitcoin: https://blockchain.info/nl/address/15m1Wb52pgNX4tv6ZANKXLLxK9MitsLBSF Thank you!